Description of the methods of treatment of trophic ulcers of the lower extremities: conservative therapy, surgical intervention, as well as the methods of traditional medicine. Deep necrotic defects of the skin and underlying soft tissues, caused by a violation of tissue nutrition and innervation – trophic ulcers – develop, as a rule, in old age. The causes of trophic pathology are the age-related changes in the cardiovascular, respiratory and nervous systems. The disease has a long-term recurrent character, it does not lend itself to conservative therapy. More often trophic wounds are located in the distal parts of the lower extremities, in places remote from the large vessels: on the fingers, the heel, the shin. The diagnosis of trophic ulcers is made if the ulcer defect is more than 45 days, based on anamnesis, examination of the patient, bacterial cultures from the wound surface and biopsy. Rarely cause ulcerative lesions are systemic connective tissue diseases. Before the development of a directly ulcerative defect, soft tissues and skin suffer from hypoxia and trophic disturbances for a long time. This is manifested by previous symptoms: hyperpigmentation of the skin, soreness, swelling, paresthesia, intermittent claudication, convulsions. Any, even microscopic trauma leads to necrosis and suppuration. The initial stage is characterized by a focus of necrosis. Antigens of tissue detritus develop protective reactions of the body. First of all, suppuration. Under the action of proteolytic enzymes of blood cells, the focus is cleared from necrotic masses – the stage of purification. In the bottom and edge of the defect grow granulation tissue, containing a mass of vessels and providing tissue with oxygen and nutrients – the stage of granulation. With a favorable course, the stage of scarring and epithelization of the ulcerative defect occurs. A normal scar is somewhat below the surface of unchanged tissues. With keloid scar, hypertrophied fibrous tissue appears ugly above the surface of the surrounding skin. In case of unfavorable course, absence of adequate treatment in the outcome of any period of development of a ulcerative defect, a complication stage may occur. The trophic ulcer on the leg can be recognized by a deep defect with granulations and purulent depositions in the bottom, undercut edges and trophic changes of surrounding tissues. Often the wound is very painful, with unfavorable flow from its bottom, a large amount of pus or a syphilis is allocated, the perifocal temperature rises. Trophic ulcers are dangerous for the development of severe complications such as pyoderma, attachment of fungal infection, erysipelas, bleeding, angiitis, the spread of purulent inflammation to deeply lying tissues: muscles, bones, joints. To prevent the development of complications, timely and adequate therapy is needed. How to treat a trophic ulcer, will determine the phlebologist. Depending on the stage and extent of the process, background pathology and reactivity of the organism, medicinal methods or surgical treatment are used. With the formation of ulcerative defects on the leg, treatment should begin at the initial stage. The effectiveness of drug therapy will provide an integrated approach: the use of general and local agents. The key to therapeutic success will be the symptomatic treatment of background diseases that led to the formation of a ulcerative defect. If the original cause is not eliminated, antiulcer therapy will only relieve the patient’s condition for a while. After the cessation of the action of the preparations, trophic ulcers will again become aggravated. Considering that tissue detritus in the bottom of ulcerative defects is a good nutrient medium for microorganisms, antibacterial treatment is carried out. To determine the sensitivity of microbes to the drugs used, bacteriological inoculations are made from the wound to nutrient media. Antibiotics for trophic ulcers are used in the form of local treatment and at the organism level. Prior to topical application of antibiotics from the wound removed pus and necrotic masses using saline then applied drug in the form of lotions or ointments, as well as aerosol. With extensive wound surfaces that cause intoxication, use tableted and parenteral (intramuscular, intravenous) antibacterial agents. Many ointments have a polycomponent composition, besides antibacterial, they have anti-inflammatory, analgesic effect. Attachment of fungal infection in the wound requires the use of antimycotic agents. When cell elements are destroyed, enzymes that inhibit the growth factor are released, thereby delaying the natural regeneration of tissues. To improve the purification of the wounds, proteolytic enzymes (“Trypsin”, “Proteox”, “Bioten”, “Comfil”) are used locally. The funds are issued in the form of bandages or bandages. At the stage of a strong exudative reaction, bandages are used that can absorb excess moisture. In the “dry” stage of a ulcerative defect, it is better to use impermeable patches that retain the desired moist environment and prevent infection. The main condition for their use is adequate size: the remedy should cover not only the wound, but also unchanged surrounding tissues by 2 cm. To accelerate the healing and epidermisation of wound surfaces, regenerating ointments are used: Solcoseryl, Bepanten, Levomikol. Contraindication to the use of ointments is the individual intolerance of the components of the drug. Local anesthesia ulcers provide ointments containing surface anesthetics and inflammatory mediators blockers “Oflokain”, “Mefenat”. Than to treat ulcers on legs or foots at varices? Varicose veins of the lower extremities lead to tissue hypoxia as a result of venous stasis. First of all, it must be eliminated: the patient is recommended bed rest or at least an elevated leg position. When it is impossible to create peace limb recommend the use of dragging away stockings or elastic bandage (compression therapy), orthopedic shoes (“boot”). To enhance the body’s resistance, they prescribe general restorative therapy: vitamin complexes, immunostimulants, ozone therapy, UFO. At the stage of rehabilitation, physiotherapy procedures and sanatorium treatment (balneology, ultrasound, mud) are shown. With extensive long-term non-healing and profound defects, surgical treatment is performed: purification from necrotic masses and excision of the pathological focus. Volume operations (restoration of blood flow in the arterial channel – thrombectomy, sympathectomy, autotransplantation of skin flaps) are performed after a complete examination. Usually they are performed in the remission phase of the disease. How to treat ulcers with varicose surgery? Operations are conducted in the absence of phlebitis. 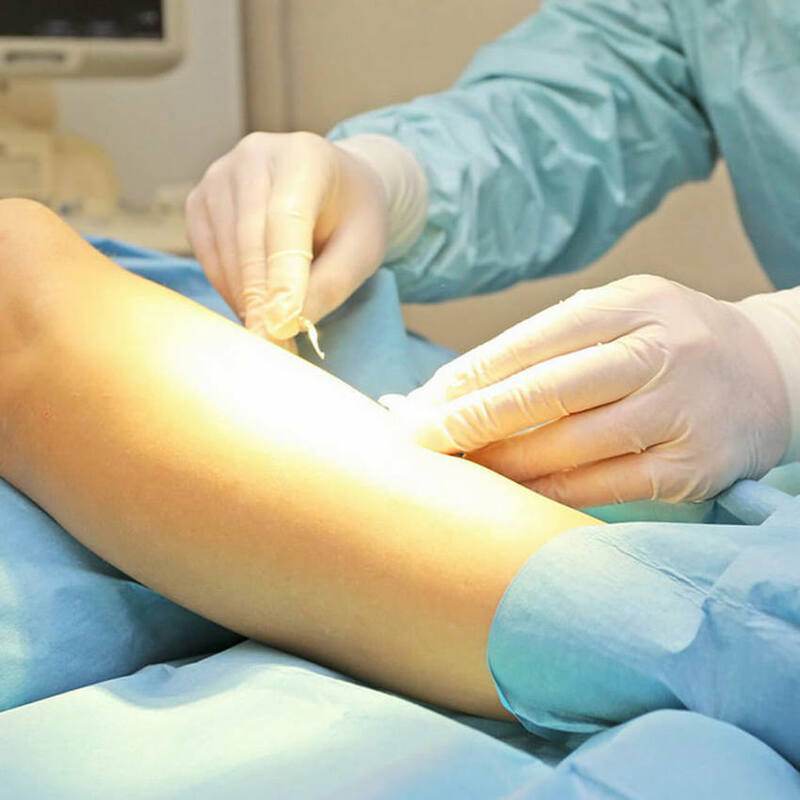 Perform sclerotherapy of veins or venectomy. Diabetic ulcer is an indication for “virtual amputation”, vacuum therapy, catheterization. With complications such as soft tissue phlegmon, gangrene, osteomyelitis, several open incision operations are performed, followed by drainage, economical amputation, sequestrectomy. In the postoperative period, conservative therapy is continued. The complex therapy includes treatment of trophic ulcers of the lower extremities by folk remedies. Natural components do not cause allergic reactions, are readily available and cheap. With long-lasting non-healing ulcerative defects, gauze wipes laced with tar are applied to the wound surface. Hold the napkins, without removing, for 2 days, then replace them with fresh ones. The course of treatment – until complete healing. Diabetic trophic ulcers can be treated with dry leaves of a Tartar: they rub into powder and pour a wound on them. The next day – again poured, and so until the wound is tightened. Wood (birch) ash is used in the form of lotions or warm baths: 1 kilogram is steamed by 10 liters of boiled water, wrapped and infused for 2 hours. The freshly prepared home-made cottage cheese has a positive effect. The wound is washed with the exfoliated serum and a curd cheese is applied. Antibacterial and anti-inflammatory effect has Streptomycin, powdered and sprinkled on the wound surface. Removes the swelling and inflammation of the compress from a cabbage leaf, oiled with sea buckthorn oil. It is changed every day until healing. A good wound-healing effect is provided by a mixture of 4 fried in a dry frying pan of hazelnut kernels, 2 boiled and also dried in a frying pan of yolks with the addition of 1 coffee spoon of iodoform. The mixture is applied for 90 minutes, then bandaged for 2 days. Eggs are also used in another way: remove the inner film of the raw egg and apply a wet side to the ulcer defect for a day, then the films are changed to fresh ones. In addition to sea buckthorn, the effective wound healing effect is onion oil: pass the finely chopped onion in sunflower oil, drain, cool and lubricate the wounds. A good wrapping and soothing means is a warm kissel, brewed from 100 g of flaxseed in 3 liters of water for 90 minutes. A compress is made from it for several hours. Hemostatic action with bleeding ulcerous defects is hydrogen peroxide. The wound is moistened with a solution of peroxide, covered with streptocid powder and a diluted (2 teaspoons per 50 ml of warm boiled water) peroxide compress, which changes several times a day. If necessary, sprinkle the streptocide. Boric alcohol has an antiseptic effect. It is moistened with sterile wipes and pribintovyvayut at night. Well extrudes the exudate from the wound solution of sea or table salt (1 liter of boiled water 1 tablespoon). A compress is made from it for 3 hours, then for 3 hours the wound is kept open, then a compress is applied again. Types of salt alternate with this. Before using any topical agent, to improve the effectiveness of therapy, the necrotic and purulent masses are removed from the wound, washed with physiological saline and disinfect the edges. Treatment of trophic ulcers on the leg by folk remedies should not be independent. It is used in combination with pharmacological drugs of local and general action. 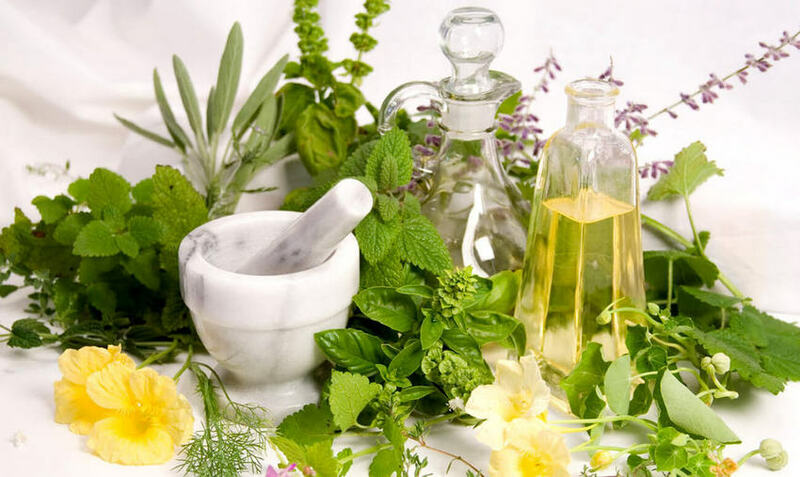 Before introducing into the treatment scheme of trophic wounds of folk remedies, it is necessary to consult a doctor who will tell how to stop the process at this stage in the most appropriate way. In the media and specialized medical literature, a lot of methods and advice on how to cure a trophic ulcer. This is due to multiple differences in the course of the process, depending on the causes of the development of pathology. For someone suitable only treatment of trophic ulcers on the leg folk remedies. And some suffer for years, after trying all kinds of drugs. Therapy of the disease is of an individual nature, the right doctor can choose the right and effective treatment. Previous post: How much water should I drink to be healthy?